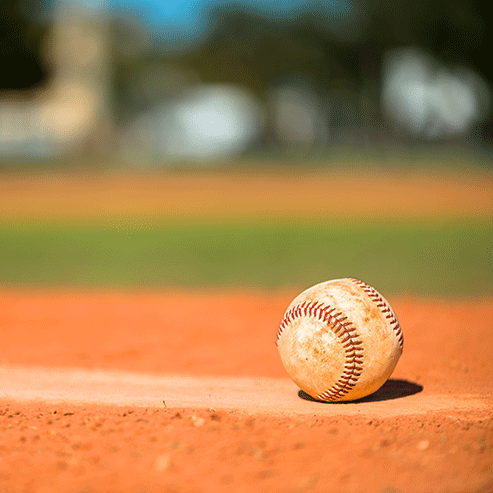 Major league baseball has come under scrutiny in recent years for a decline in viewership, with some saying that our national pastime’s heyday is behind us and beyond saving. I’ve heard this sentiment before in my line of work in education reform – an industry equally as mired in controversy. Many similarities exist between baseball and higher education. First and foremost, they are both revered American establishments. Especially in this region, they have storied histories, and with history comes tradition. But tradition isn’t all it’s cracked up to be. Don’t get me wrong, tradition is important and, in some way, should be respected. After all, baseball isn’t baseball without a pitcher, a hitter and a ball. And higher education ceases to exist entirely without students, teachers and degrees. But it can also be unnecessarily constraining, making our institutions obsolete in a world that offers alternative options. We are sometimes so scared of violating tradition that the very thing we are seeking to protect becomes inaccessible to the general population. The challenge of course is in identifying what elements of tradition are worth holding on to, i.e., those traditions that elevate and make something special. The 7th inning stretch. The pennant race. Double plays and grand slams. Adaptable institutions find ways to make their service or product more accessible. Recognizing that people couldn’t always take time off from work, baseball took advantage of the spread of electricity and the invention of high-powered lights to introduce night games. Of course the “traditionalists” cried foul. But the keepers of the game recognized that the game had no value if people couldn’t access it. And as technology has advanced they’ve gone even further to ensure access by allowing indoor stadiums with turf fields that can be played in any weather. We see the same kind of “radical” change happening in higher ed, but in truth the substance hasn’t changed – students still learn, teachers still teach, and mastery of subject content still matters. You can’t “fast-forward” a game to make it anything less than nine innings, just like you can’t “fast-forward” education to make the credential less than the competencies it represents. But there are other ways to introduce change so that different needs can be met in new and innovative ways, without changing the essence of the thing itself. In baseball, while the basic dimensions of the infield are constant, the outfield can vary widely in distance and dimensions. As a result, teams change their whole strategy – and sometimes their players – to match the field of play. Left-handed hitters do well in one ballpark and poorly in another. Some fields are grass and dirt, allowing balls to “hop” and slow down. Some fields are turf where ground balls move much faster. Likewise, higher ed programs can be tailored to meet student needs and the needs of the workforce through different strategies. Shorter programs for certification. Expanded course offerings and modes of delivery, such as online courses. Enhanced student support services that make the field of play more consistent. Leaders in major league baseball are now suggesting common-sense reform to force a previously unthinkable change: Make the game move along more quickly! Changes like making sure hitters don’t step out of the batter’s box after every single pitch, and actually enforcing an existing rule regulating the time between pitches. This doesn’t mean baseball is radically altered – or the quality of the game is lessened (I’d argue the quality will actually increase); in the end baseball is still a game dictated by innings not by time. Some of the games will move quickly…others not so much. In higher education there are efforts and innovations meant to make education less about time or credit hours and more about learning. Introducing new methods like prior learning assessment and competency based education are common-sense changes that can help students progress more quickly to a degree. Some students will take more time to finish their degree; others will accelerate more quickly. Regardless, higher education must ensure there aren’t artificial barriers or easy exit points that extend a student’s pathway and make completion a never-ending journey. Through all of these changes, it’s important to keep in mind the impact on the practitioners. Baseball players have adapted to changes in equipment, longer travel schedules, faster pitchers, and stronger hitters, and all while under the scrutiny of sports journalists and mass media. Similarly, we must not ignore the pressure put on higher education institutions. Teachers must adapt to new technologies, evolving content, and flexible degree programs, all while being challenged to produce competent and well-trained students. Change in higher education won’t come easy – it never has. But to shrink from the challenge because it requires change would be to hold on to a false sense of what makes education valuable. While certain traditions should be cherished, if we also embrace opportunities for change we can create a pathway to elevate higher education and better serve students from all walks of life. After all, the traditionalist might prize the afternoon game on a warm summer day, played outside on a grass field in the middle of a city – but what if no one can get there to see it?